Dr Laura Johnson, is a Nutritional Epidemiologist and Senior Lecturer in Public Health Nutrition. Her research focuses on establishing the role of overall dietary and eating patterns in the prevention and treatment of obesity, diabetes and coronary heart disease as well as understanding the factors that influence food intake and appetite control. 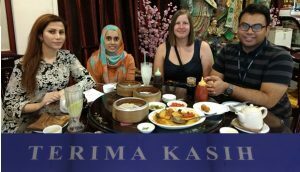 In this blog, she reflects on a recent visit to Malaysia to research adolescent lifestyle in conjunction with the MyHeart Beat project. In April, this year I went back to school, some things were just the same as I remembered but others were very different, mainly because I was in school in Malaysia. I had found myself in Kuala Lumpur for work and I was visiting schools to find out exactly how big a task we had taken on for our new collaborative research project MyHeart Beat (Malaysian Health and Adolescents longitudinal Research Team Behavioural Epidemiology and Trial). MyHeart Beat is funded by the UK Medical Research Council and Academy of Sciences Malaysia (Newton Ungku Omar Fund). The project aims to explore how changes to diet and physical activity could improve heart health in Malaysian adolescents. It’s a collaboration between researchers in the University of Bristol’s Centre for Exercise, Nutrition and Health Sciences and the University of Malaya’s Faculty of Medicine. Our aim is to find ways for Malaysian teens to be more active and eat better, which will help them in the future to avoid obesity, type 2 diabetes, and cardiovascular disease, chronic conditions that are affecting ever increasing numbers of people in Malaysia. MyHeart Beat builds on MyHearts (Malaysian Health and Adolescents longitudinal Research Team study) an excellent project by researchers at the University of Malaya, in collaboration with researchers from Queen’s University of Belfast, who have spent the last 5 years following more than 1000 teenagers from the age of 13 to 17 years in 3 Malaysian states. MyHearts has collected detailed information on diet, activity, lifestyle and health and has shown that 15% of adolescents are overweight and a further 9% are obese. Physical inactivity is rife (64% of teens are inactive) and breakfast habits are erratic (25% of teens never or only occasionally eat breakfast). We’re planning more analyses of this rich data to find out about the patterns of behaviour related to obesity and heart health. I’ve previously explored patterns of food intake associated with obesity and shown that it’s a combination of high-fat, low fibre and energy density that is important rather than any single aspect of diet. Key foods part of an obesogenic dietary pattern in the UK include fruits, vegetables, and high-fibre bread (not eating enough of them) and white bread, crisps, sweets, and processed meat (eating too much of them). We expect the most common foods eaten in Malaysia to be different to the UK but in principle whatever foods there that make a diet energy dense, low in fibre and high in fat are still likely to be those most important for preventing obesity. In MyHeart Beat we will apply the same method for finding patterns of behaviour (reduced rank regression, RRR). RRR is a statistical technique that, for dietary patterns, adds up intakes of all foods after giving some foods more emphasis than other (by giving pattern loadings). RRR works out how much emphasis to give different foods by trying lots of options until it settles on the one where foods are combined in such a way that the energy density, fibre and fat content of the whole diet can be predicted best. You end up with pattern loadings (numbers) for each food and the larger the loading the more important that food is for predicting the obesogenic features of diet. Using the loadings, it’s then possible to rank foods in order of importance and identify exactly what foods to change to make diets less likely to lead to obesity. With our analyses, we hope to find out not only what the most important foods are but also what activities are best for maintaining health throughout adolescence. Once we know what the high-risk behaviours are we can start working out ways to help teenagers to change. Although, even when you know what to change you then have the task of working out how to change it. There are many different routes we can take to change behaviour; the sheer number of options can be challenging but is also what makes the project fascinating. The MyHeart Beat team has lots of experience trying to change behaviour in children in the UK, Europe and Malaysia. For changing diet we’ve attempted intensive programs led by dietitians as well as computer based courses supervised by teachers. Innovative strategies we’ve tried for increasing physical activity have included after school clubs led by teaching assistants; dance workshops and harnessing the power of social networks to spread positive physical activity messages. In Malaysia, the MyBFF@school program (My Body is Fit and Fabulous) has been designed specifically to help overweight and obese adolescents control their weight and provides a valuable platform on which to build a broader program that could help all adolescents stay healthy. A starting point for designing an intervention is simple logistics. 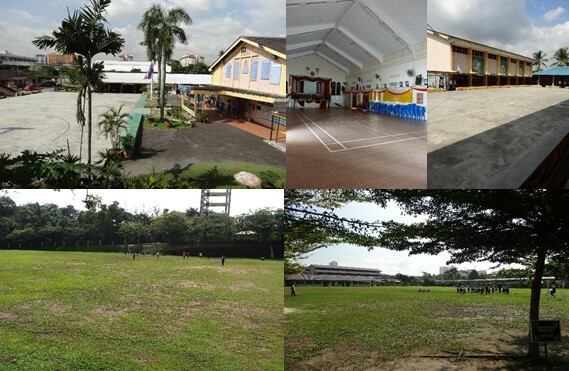 What is even possible to change within Malaysian schools? So that’s what brought me to Kuala Lumpur, to visit schools and see for myself how life works for adolescents at school over there. I realised that the biggest difference compared with my school in the UK was the timing. In Malaysia, school starts at 7 am and ends at 1 pm, break time is for 20 minutes between 0930-1030 (depending on which year you are in) and this is the time when the cafeteria is open for hot meals and cold drinks. The school canteen offers lots of fried and sweet snacks like burgers, sausages, chicken and samosas, not so different to school food I remember. But more traditional meals, made of rice, noodles, eggs, fish or meat with sauce, were also for sale. Some schools had fruit snacks suggesting it may be possible to alter the range of foods available. There were vats of ice-cold drinks like fruit squash and Milo and iced tea, all sugar-sweetened. Water wasn’t freely accessible but water bottles were sometimes brought in from home. Touring the rest of the school, I saw that there were plenty of spaces for physical activity, a school gym, hall, basketball courts and a playing field. But the heat was high as was the humidity, I was sweating just standing still! I had no desire to be physically active in those conditions, which made me wonder what the kids thought about that. That leads me back to what MyHeart Beat aims to do in the next 18 months. We plan to find out what staff and students think about different options for changing diet and activities – because ultimately it’s the people whose behaviour you are trying to change that know best what will work for them. We’re also aware of some local initiatives by state nutrition divisions starting this year to make improvements to the school food supply e.g. 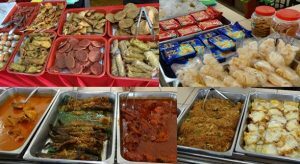 in Perak, parents/teachers are asked to report if the canteen is selling unhealthy food. To find out more about what the adolescents, teachers and Ministry of Education officials think about what can and should change, we’re planning some interviews and focus groups to ask them directly. From this we’ll work out the options that will be most feasible for changing. Then we’ll develop an intervention (set of changes) that we hope will improve diet and physical activity and ultimately cardiovascular and metabolic health. Our approach follows the UK Medical Research Council (MRC) recommendations for designing interventions. We hope that by building on a strong evidence base and crucially talking to the local people, we’ll ensure the intervention we design will be a success. Towards the end of 2018 we’ll be taking our intervention out to some schools to test it out. This small pilot project is the ultimate aim of all of the different parts of the project and will tell us if the plans we’ve made will work in practice. I’m looking forward to visiting Malaysia again at that stage, and getting some more fabulous hospitality from the MyHeart Beat researchers over there! To Shooka, Shafina and Fadzrel, Terima Kasih (Thank You) for having me. 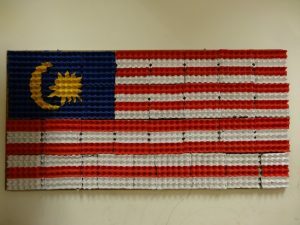 This entry was posted in Exercise, Nutrition and Health Sciences, School for Policy Studies and tagged adolescent eating patterns, eating patterns, Malaysia, MyHeart Beat, obseity, physical activity by policystudies. Bookmark the permalink.